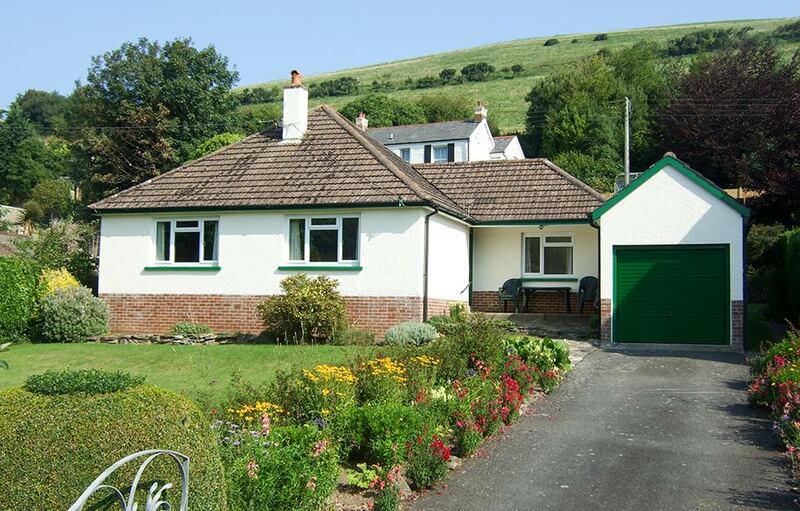 Elsley is a three-bedroom bungalow situated at the heart of Combe Martin and only a gentle stroll from the cove with its sheltered bay, pubs, restaurants and shops. Designed to make the most of the views and sunlight, Elsley is south facing with lovely vistas of the valley opposite. Its location makes it the perfect base for exploring Exmoor and North Devon's Area of Outstanding Natural Beauty and wonderful beaches. Although Elsley is equipped for families, it also makes the perfect base for couples sharing or a couple on their own and is ideal for those with slight disabilities or the elderly. There is a fully enclosed large front and rear garden; ideal for children to play in safely and parking for at least three cars on the driveway. The bungalow has a king size bedroom, south facing with ample storage. There is a second king size room as the back of the bungalow as well as a separate single bedroom which can also be set up as a twin room using a pull out, full size trundle bed. There is one shower/bathroom with a separate toilet. Elsley is equipped with everything you need for your holiday. Cooking is on an electric oven with ceramic hob. There is a microwave, washing machine, tumble dryer, fridge/freezer, TV with Freeview, DVD player, Hi-Fi and most importantly free WI-FI. The property is heated by gas central heating and all facilities are included. We supply linen for the beds, but NOT towels/T-towels/beach towels. A travel cot and highchair are available on request.